This roundtable will examine what role the tools of social networking have played in organizing and communicating about the economic crisis in higher education. One of the goals of the panel will be practical: to share tips and strategies about what works and what doesn’t (and to think critically about how we judge the effectiveness of any particular tool or strategy). Another will be reflective: to provide an opportunity for weighing the benefits and the risks of scholars using these tools to perform work that is often more in the mode of public or professional advocacy than scholarship in the traditional sense. Rosemary Feal is executive director of the Modern Language Association (MLA). She is general editor of MLA publications and editor of Profession and the MLA Newsletter, an ex officio member of all MLA committees and commissions, and chair of the Program Committee for the annual convention. She came to the MLA in 2002 from the State University of New York, Buffalo, where she was professor of Spanish and chair of the Department of Modern Languages and Literatures. She is a member of the Board of Directors of the National Humanities Alliance and a former vice president of that organization. She served on the Board of Directors of the American Council of Learned Societies. She is coconvener of the Coalition on the Academic Workforce. She is associate editor of the Afro-Hispanic Review and former senior consulting editor of the Latin American Literary Review. She has published in the fields of contemporary Latin American literature, Afro-Hispanic studies, feminist theory, and psychoanalytic criticism. Her book publications include Painting on the Page: Interartistic Approaches to Modern Hispanic Texts (SUNY Press, 1995); Novel Lives: The Fictional Autobiographies of Guillermo Cabrera Infante and Mario Vargas Llosa (North Carolina, 1986); and Isabel Allende Today (co-edited with Yvette Miller) (2002). Marc Bousquet is an associate professor of English at Santa Clara University, where he teaches courses in radical U.S. culture, internet studies, and writing with new media. He writes for the Chronicle of Higher Education’s Brainstorm blog and maintains a Youtube channel focussed on academic labor issues. He serves on the national council of the American Association of University Professors (AAUP) and on the advisory board of several journals including AAUP’s Academe. While president of MLA’s Graduate Student Caucus, he founded Workplace: A Journal for Academic Labor. His most recent book is How the University Works: Higher Education and the Low-Wage Nation (NYU, 2008). He is at work on a book about the bipartisan failure of education policy, and another about participatory culture in the United States. Brian Croxall is Emerging Technologies Librarian and CLIR Postdoctoral Fellow in the Robert W. Woodruff Library at Emory University. In this position, he works not only to integrate digital technologies into the whole of the library but also to establish a Digital Scholarship Commons. He has an articles forthcoming in American Imago and recently co-edited a special issue of Neo-Victorian Studies on the subject of steampunk. His research interests include 20th- and 21st-century American literature and trauma studies as well as media theory and social media. His paper for MLA 2009, “The Absent Presence: Today’s Faculty,” was read for him at the convention because it was not economically feasible for him to attend, but the paper was broadly circulated through blogs and Twitter. He later wrote about the experience in The Chronicle of Higher Education in a piece called “On Going Viral at the (Virtual) MLA.” Brian is also a contributing author for ProfHacker.com, can be found on Twitter as @briancroxall, and blogs at http://www.briancroxall.net/. Christopher Newfield is professor of English at the University of California, Santa Barbara. He is the author of Unmaking the Public University: The Forty Year Assault on the Middle Class (Harvard, 2008) and Ivy and Industry: Business and the Making of the American University, 1880-1980 (Duke, 2003). He has written extensively on the crisis of funding in higher education, particularly in the state of California. His articles, white papers, and blog, Remaking the University, are indispensable resources on the myths, realities, and arcana of university budgeting. Henry Turner and I co-directed the 2011-12 CCA seminar on Public Knowledge. 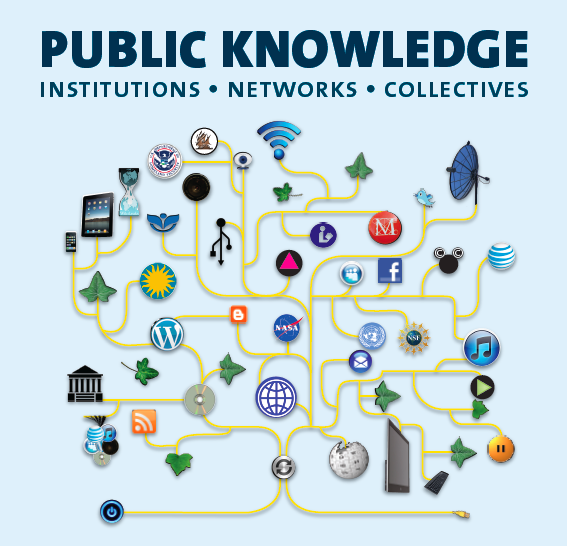 What, today, is public knowledge? What forms have shared, openly accessible bodies of knowledge taken historically, and what are the prospects for collective inquiry in the 21st century? Faculty, graduate student, and post-doctoral fellows drawn from a variety of fields, including architecture, art history, geography, history, literary studies, political science, and sociology, investigated the creation and transmission of knowledge by and for a variety of publics, semi-publics, and counter-publics. We were particularly interested in institutions such as universities, museums, and libraries that are explicitly dedicated to the transmission of knowledge across generations. But we will also studied other social practices and cultural forms dedicated to the public good or the public interest, such as journalism, government reports, learned societies, watchdog agencies, non-governmental organizations, and free and open source software projects. Are there problems that can only be addressed through a collaborative, collective mode of inquiry? How does knowledge become institutionalized, and how do institutions account for themselves? What are the historical precedents for the informal knowledge networks made possible by new media? The Society for 19thC Americanists 2014 conference is organized around the theme of the “Commons.” I’ll be leading one of the seminars: “Public Domains: Print and the Commons in the 19thC US.” Over the three days of the conference, a small group of scholars will discuss work-in-progress that reflects on the nature and limits of the nineteenth-century public domain. What happens to our literary and cultural histories when we privilege genres and modes of publication that ordinarily fell outside of copyright protection, such as adaptations, abridgements, “fugitive poems,” and popular melodramas? Was there a public domain before copyright was broadly accepted as a global standard or does it make more sense to think in terms of multiple, intersecting or overlapping public domains? How might the informal regulatory norms common to nineteenth-century publishing be brought to bear on the problems that beset twenty-first century publishing?